1. Visit the International AutoSource Facebook page and Like or follow our page. 2. SHARE our ‘[Press Release]: Two New Reports Created To Help Expats Without A U.S. Credit History’ post. 3. 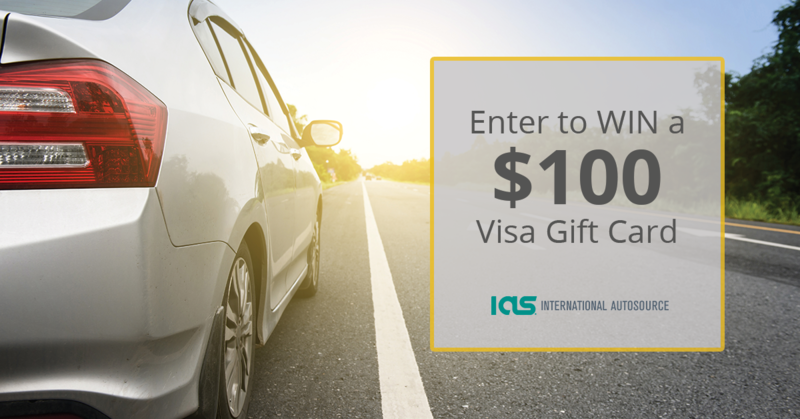 You will be entered to win a $100 Visa gift card. Giveaway is open from 2/6/18 through 2/28/18. *No purchase necessary to enter. Limit one entry per person. Giveaway is open from 2/6/18 through 2/28/18. Entrants must share ‘[Press Release]:Two New Reports Created To Help Expats Without A U.S. Credit History‘ post in order to enter. Winner will be contacted via Facebook within 7 days of the contest ending. All programs and guarantees are subject to terms and conditions.